Are you ready to learn something new, make new friends or start a new hobby in 2019? Join more than 210 community members who have already signed up for a class with Southern Utah University’s Community Education program in January alone. With 45 new classes this spring, there are many unique, affordable classes for everyone to get on the path towards New Year’s resolutions. For those that love theatre, SUU Community Education has partnered with the Utah Shakespeare Festival to offer Beginner Stage Combat and Improvisation classes, and a chance to experience the Fred Adams Extended Shakespeare Festival Tour. Back by popular demand is the Master’s Astronomer Program taught by Cedar Breaks National Monument instructors. This 40-hour hands-on workshop is where community members can learn more about southern Utah’s amazing dark night skies. 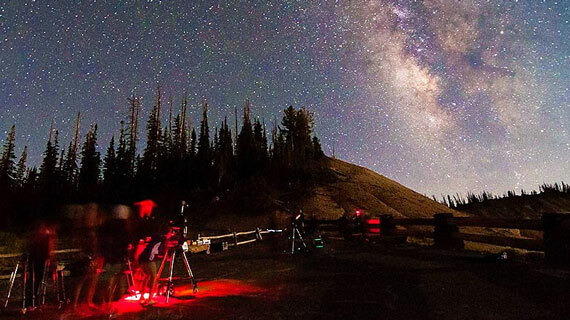 The course is developed by Cedar Breaks staff with hopes that participants gain a greater understanding and appreciation for the night sky and astronomy through hands-on experiences, including learning how to operate a backyard telescope. And, there are two computer courses designed for those who want to get in touch with technology but are not sure where to start, several new cake decorating classes to help you prepare your next birthday cake, and courses in art and design, business and finance, career development, culinary and tasting, dog training, home and garden, pickleball, social dancing and many more. For more information on these or any of the 45 new classes for spring 2019, visit suu.edu/wise, call (435) 865-8259, or stop by the SUU Office of Community and Academic Enrichment at 136 W. University Blvd, Suite 003, in Cedar City for help registering.